Georgia Tom: Thomas A. Dorsey, the Father of Gospel Music, Bailiwick Repertory. Writer-director McKinley Johnson's new musical biography combines powerful church-choir singing, Christmas-pageant acting, and a lesson in African-American history but offers little that isn't available elsewhere in bigger and better doses. Just roll on down to the south side on any given Sunday to get the real thing. 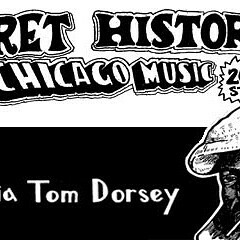 "Georgia Tom" is the nom de juke joint used by blues pianist Thomas Dorsey (Dwelvan David)--a preacher's son wed to the devil's music--while touring with legendary singer Ma Rainey. Upon the urging of his wife Nettie (Donica Lynn Thornton), after she nurses him through what appears to be a schizophrenic breakdown, Dorsey bestows his musical talents on the church instead. But he still pays the rent with the blues. Until God smites him, that is, paving the way for his battle with church traditionalists, who reject his earthy hand-clapping, foot-stomping style as common. Toi Overton's comic workmanship brings to life feisty church lady Sally Martin, and Andrea Wukitsch with her Betty Boop voice and yogi's limber body makes a huge impression as the rent woman and other characters. But they're little islands of entertainment awash in the production's aimless current. The show halts and jerks along with so little energy that no amount of earnestness can compensate for the lack, making Georgia Tom a leaden tribute to the man who put the spirit of jazz into the music of praise.